One of our favorite baseball players is Clayton Kershaw. 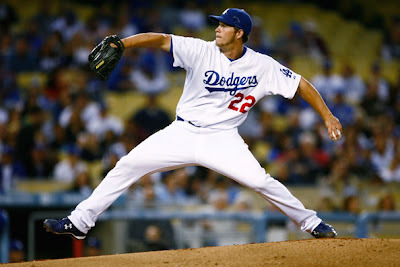 He is a 2 time All Star, Cy Young winner, and is the best pitcher in the game. In 2011 he won the Triple Crown as he led the National League in Wins, Strikeouts, and ERA. As good as he is on the field, he is even better off the field. Clayton and his wife Ellen have been going over to Africa in the off season and working on building an orphanage called Hope's Home. 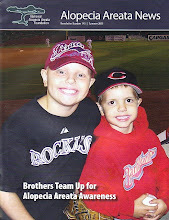 Clayton has a website called Kershaw's Challenge where he is able to raise funds and provide updates for Hope's Home. 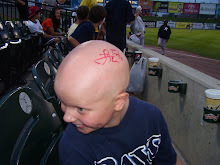 We wanted to do something more this year, so in addition to NAAF, we will be also donating $.05 for every autograph we get to Kershaw's Challenge to help with Hope's Home. We decided to do this announcement today because our church has a team that landed in Africa today for 2 weeks. They will be ministering in schools and villages in Kenya. Please keep our team in your thoughts and prayers. If you aren't doing anything tonight, tune in to Fox at 7:30 for the MLB All Star Game and catch the best pitcher in baseball in action ON the field as we do just a small part to help him OFF the field. Also, check out Kershaw's Challenge to see how you can help. You are one cool kid!!! Such a giving heart. So proud of you! !